Have you lived in Croatia with a valid temporary residence permit for 5 years or more? Then this post is for you. 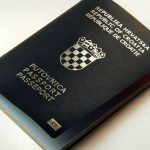 Once you hit that 5-year mark, the natural next step is to apply for permanent residency, called “stalni boravak” in Croatian. First, I’ll list the basic requirements then we’ll go over each one in more detail, as not all will apply to every application. If you’ve made it here for 5 years, then chances are you qualify to apply for permanent status, unless you are a student or volunteer. If you are unsure, go to the MUP and ask well in advance (e.g. 2 months at least) of your current residency expiration. Usually, the police ask for this once your application is approved (if applying for temporary residency), but in my experience they wanted this photo as part of the application itself before it went to Zagreb for approval. If you don’t already have some stockpiled, there is usually a photo studio by the MUP that will take your photo and prepare them to the right measurement. Sometimes they will make a copy at the MUP, but it is best if you bring a copy of your passport with you the day you start your application just in case. Make sure you also have a copy of your national Croatia identification card. This requirement has variations depending on your situation. If you are a non-EU national, you must show (3) pay stubs from a Croatian company. 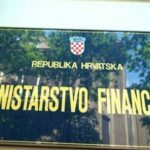 If you are an EU national or the spouse of an EU national, you must show the last (3) pay stubs from a Croatian company or you must show you have enough funds to support you and all dependents for one year in a Croatian bank account. This means if you are a single EU national, you would need to put 24000 kuna in a bank account (12 months x 2000 kuna). If you are married, then you or your spouse need to show a monthly salary exceeding 2750 kuna. If you are showing funds in a bank account, you can request proof of the account balance from your Croatian bank. Let them know you’ll be providing it to the MUP. That being said, don’t do anything until the MUP tells you exactly what you need to provide for your situation. If you’ve made it this far, you already have this. 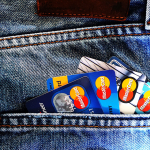 You’ll need to provide a copy of you HZZO card and be up to date on payments. A passing grade on a language test offered by the Filozofski Fakultet in Zagreb, Split, Osijek or Rijeka. This test is B1 level. To schedule the test, bring a copy of your passport to the fakultet. You’ll be asked to complete an application and pay the fee for the test at a local bank or post office. The cost of the fee may vary. In Split, it is 860 kuna. Once paid, return to the fakultet with your application and proof of payment. You’ll be given a test date at that time. For the test with the fakultet, you must schedule the test at least 10 days in advance as they are only given once a month. This one is a bit tricky, because there have been situations when spouses of Croatian citizens were exempt from the taking the test, but other cases when they were still required to take the text. There have also been cases where EU nationals without a Croatian spouse have been told they do not need to take the test. There is not straight answer on this, so just see what the police tell you. I took this exam in March 2018 with the Filozofski Fakultet in Split. It was composed of two parts: written and oral. For the written, there were about 25 multiple choice questions that involved selecting the appropriately conjugated word to fill in the blank. There was also an essay section where you write about yourself for half a page. For the written, only 20 minutes were allotted. Personally, I felt rushed. The other 40 people in the room all were native speakers from neighboring Balkan countries. After the written, everyone had to wait while the tests were graded. Then people were called back in to the room, in groups of 4, in order of who finished the written first. Each person is then asked questions related to their essay in speedy complex Croatian, which they then must answer in Croatian. You’ll need to be prepared to have a two-way conversation for about 5 minutes. After the discussions for everyone in my group were complete, we each found out if we passed and could pick up our certificate at the Filosofski Fakultet where we scheduled the test after one week. I was told by the woman who I scheduled the test with that there would be NO oral section. She also told this to my Croatian teacher who called before I scheduled the test. This turned out to not be true, so be prepared for an oral discussion regardless of what the fakultet tells you. You’re probably wondering, so how hard is the test? At the time of the test, I’d been taking Croatian lessons for 2 years and had been in Croatia for 6 years. I work from home, do not have Croatian heritage and am not married to a Croatian so am not super integrated into the community. I do live in a neighborhood where nobody speaks English so I get some practice, but not as much as someone working in a business with locals. The written was challenging. I have a decent scope of vocabulary and a good grasp of all cases and past, present and future tenses. Nevertheless, I didn’t understand most of the words on the test. My understanding of cases and tenses is what got me through the test. Honestly, there wasn’t enough time to even translate the sentences. I only had enough time to figure out what should go into the blank based on context clues. Personally, I felt like I fell on my face during the oral and thankfully, the two gentlemen from Kosovo in my group didn’t snicker at my embarrassing display. I did really well on the written, so overall I passed. Thankfully. In summary, this is not a test that can be crammed for. If you plan on being here for the long haul, start learning and speaking Croatian now. There will be another test as part of the citizenship application, which will definitely be harder. This requirement primarily applies to children. If it is requested that you provide a birth certificate, it must be translated into Croatian and notarized. There are two versions of this application, depending on whether you are a third party national or an EU national. The MUP will give you the one that applies to you at the time you start the process. How do you support yourself, and how have you supported yourself since living in Croatia? Where do you live and where have you lived since being in Croatia? Why do you want to live in Croatia? Once you receive the magical call that your permit has been approved, you’ll be called into the station as there will be fees due. At time of this posting, the costs were 590 kn plus 70 kn worth of tax stamps. They will provide you with the payment slips to take to a bank or Posta to pay. Tax stamps can be procured from any tiskinica and most papirnice (paper shops). After you show proof of payment, your finger prints and signature will be taken. You’ll then be given a white card, which will function as your temporary ID. You’ll need to bring this with you to get your new identification card, so DO NOT LOSE IT. At this time, they will order your ID, which takes 3 weeks. If you are a non-EU national, this process will take a minimum of one year, but most likely closer to two years. Croatian spouses will get shuttled through quicker. EU nationals may be approved in as little as three weeks. You MUST have a valid temporary residency permit during the entire application process. If you are nearing your expiration, you must reapply for temporary residency alongside your permanent application at least 2 months prior to the expiration of your current residency permit. For applications related to a child, consent and signatures from both parents are required. Don’t be surprised if the requirements change mid-process. Laws change all the time. If you plan to apply for citizenship eventually, you can start that application three years from the date you BEGIN your permanent residency application or after being here for 8 years. .
For rare cases (such as mine), I was approved for permanent residency before my current temporary residency was up. As a result, they would not order my permanent residency ID until my temporary residency ID expired. Have you applied for permanent residency in Croatia? Tell us about your experience in the comments. Hi. This is a very useful post. Just one point I would like to ask about: taking into consideration your point about the law always changing (!) I hadn’t realised that if you were unemployed and older than 65 years, that you were exempt from the language test. Has this been the case for a while? I’m not sure how long they have had the exemption for unemployed retirees. I do know they changed the permanent residency requirements on Jan 1, 2018. Unsure if this specific exemption is part of that change or not. Thanks so much for your post Sara – and congratulations on passing your exam! I’m not sure if your explanation of the test makes me feel better or worse about taking it (I’m super shy so even an oral exam in English makes me nervous – never mind in Croatian!). Ugh. Again, thank you for providing such detailed information – I’m so happy to have found your blog and a real, first hand account of what to expect (not only on this topic, but across the board). Regarding the oral exam, feel good knowing it exists. They explicitly told me there wouldn’t be one and then there was, so I was not prepared for it at all. 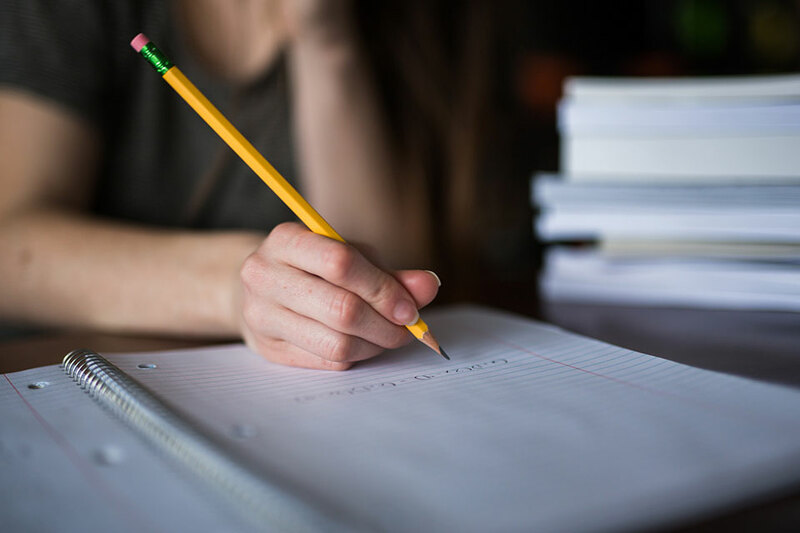 If you prepare your essay in advance and have someone ask you questions about your essay, then you will be prepared enough for the oral. I took my exam yesterday (May 8) in Split. My experience echoes yours exactly – except that there were only 7 of us writing the exam and the oral portion was done in groups of 2. I, like you, was the only native English speaker – the rest were native to Slavic based languages. Thanks to you and the information you provided, I arrived without nerves (for me, the scariest part of the test was not knowing what to expect) – I felt ready enough to ‘try’ and ok with the fact that I may need to retake the exam at a later date which helped me to remain calm and focused. I, like you, didn’t understand most of the words on the test, but was able to use context clues to choose the appropriate answers in the multiple choice area. I did not prepare a written essay in advance (I didn’t want to be caught up in memorizing something specific in case the topic of the essay might change through a rotation of exams), but this was the portion I felt most comfortable about as I was in control of what I was writing (I could choose words I am familiar with and form sentences based on tenses I am confident in using correctly). The oral conversation (the part I was most nervous about) was ok – the man who was in my group gave very detailed responses in excellent Croatian – mine were short and pointed (but still correct). The facilitators were very friendly and created a comfortable vibe in the classroom (probably easier with a smaller group). At one point of the oral portion, I did not understand a question they were asking, so, just as I would in a ‘real life’ situation, I responded with ‘ne razumijem’ (I don’t understand) and they re-asked the question – speaking more slowly and using different words (which I did understand). I passed the exam (yay!) and celebrated with ice cream at Luka Ice Cream & Cakes (best in Split!). Thanks again Sara for providing your information and experience with the exam – there is NO WAY I would have been prepared to walk through those doors in March as I had originally planned. My language skills have not increased in any way since then; however, knowing what to expect made ALL the difference for me. Best of luck to everyone taking the test in the future. Trust me – if I can do it, you can do it – nema problema. p.s. Luka is the best in Split! I had a carrot sorbet the other day that was unreal. Many thanks Sara. I will check with the Zadar police. Today, after submitting my application in June 2018, I’ve learned that my permanent residency has been refused due to lack of funds. My husband (of 7 years) is an EU national (Croatian), I am non-EU (Canadian), and we have no dependents. We are required to provide 6 months of pay-stubs showing NET income of 3400HRK – the money on our bank account was irrelevant and not considered, nor was equity (we own our house – we have no mortgage payments or loans). Also – my medical insurance as a temporary non-EU citizen was just re-adjusted – my payment is now 520HRK per month. I’m not quite sure what I will do – I’m so sick of jumping through hoops while reading others’ stories of how easy it was for them. I don’t understand why there is no standard procedure across the board for everyone – or some way to get proper information up front (we had no idea, other than what you have written here, how much income was ‘enough’ – there was literally no other source to rely on (even our local police had no idea) so to be safe, we made sure we had more than enough in the bank for a 1 year period PLUS 6 months of pay-stubs showing GROSS income of 3000HRK per month – plenty for us to live on as we have been for years – but not enough to please the powers that be). I know, I know… that’s just ‘how it is’ here – but I will never get used to the inconsistencies and bureaucracy. Living where seasonal employment is the only option – and generally for 4 month periods (June-September), I am not sure if I will ever fulfill the requirements for a permanent visa. My temporary permit that I had to apply for while waiting for my permanent application to be processed will surely expire before we have a chance to collect 6 pay-stubs. I suppose I have until June to decide if I will continue to try to stay here, or if I will move somewhere else (and hope my husband will follow me). I’m so effing frustrated and sad right now. Why is this so hard? My experience of getting permanent residency totally echoes your post here https://t.co/C2oHv6wqlM! I applied for permanent residency immediately after my 5-year temporary stay was up in January 2016. All I needed was to submit the documents, more or less as you have stated since I don’t remember exactly now. The major difference is that I didn’t have to take any language test. I got my permanent residency in about 3 months’ time. When I applied for my citizenship, I thought that I should take a language test of some kind. But the lady at the police station assured me that I didn’t have to because my husband was Croatian. Having lived here for almost 6 years by that time, I said to myself, “Let’s see when my application gets approved and we’ll know for sure.” I submitted my application in December 2016. I got my Croatian citizenship in January 2018 WITHOUT any interview or language test whatsoever. I must say that I was really lucky in the whole process. When I learnt that my friends have to take a language test just for the permanent residency, I was in disbelief. But we are in Croatia. So I probably shouldn’t have been. Thank you for the comment and sharing your experience! It is Croatia, nothing should be surprising. 🙂 Your story proves how quickly policies can change and how they can vary from person to person. My wife is a Croatian national and we intend to move back to Croatia ( Zagreb ) in about 2 years . I am a Canadian national and speak Croatian a little . As the husband of a Croatian national can I apply now for PR outside of Croatia with our local Croatian consulate ? Can I also apply for OIB at our local consulate as we intend to purchase a home in Croatia in the next couple months . When you return to Croatia, you may apply for temporary residency based on family reunification. You’ll need to apply for an OIB and start the residency application here in Croatia at the MUP in Zagreb. Ah hi! I love your blog! I’m an American who moved to Croatia too because it’s just so amazing! I love how informative your blog is, I wish I’d discovered this a year ago when I was trying to stay! I just wanted to reach out as I’m launching a blog, also about life and travel in Croatia, but more of the Zagreb-version of your site! I just wanted to commend you and your site and say that it’s really wonderful. Hope we can connect one day! Thank you for the kind words and for following! Much appreciated. Thank you for your candor and your sense of humour. You thankfully have the knack of making light in a dark situation. My husband and I are immigrating in September and reassure ourselves with your blog almost weekly. I would like to confirm the language test issue. This is only done after our 5 years temporary stay and on applying for permanent residence and or citizenship? My husband will be over 65 when this happens so hopefully he will be exempt but I on the other hand will have to do it. So best I start learning the language from day one right? All the best and will hopefully meet you in Split in September if you are not too busy. Thank you for following the blog and for the question! I recommend you both start learning the language from Day 1, regardless of whether you must take a test or not. While a lot of people speak English, you will have a very difficult time with the bureaucracy and living life without knowing the language on some level. The first language test required by the government is at the permanent residency stage, after 5 years. Are you married to a Croatian citizen? That is the only situation I have heard of where you are exempt from taking the language test for permanent residency. I would go by the expiration date on your card. With permanent residency, you shouldn’t need to apply for anything again, BUT you will need a valid ID. Two months before expiration of your card, go back to the police and see what they ask of you. I checked with “Office 13” in the main police station in Split, just last month with the head of “Stranac”, lovely lady, she said because I am married to a Croatian I am exempt the language test. So assume its the same for all that are married. I not above it says this exemption is no longer in force. Curious to know others experience that is quite recent. My 4yr 11m, yep you read it right, is due to expire in Jan 2019. So I have to apply for Temp again, for the one month, then apply for Permanent in Feb 2019. I will try to remember to update you on my personal experience when the time comes. I was also told I can hand in the PR application and then immediately apply for naturalisation as well. So I could get a HR passport. Because I am married to HR citizen I would not be required to give up my original nationality and therefore would become a dual national. Again I will update when the time comes. I heard recently (last 6 months) of a spouse of Croatian that was still required to take the language test. But most of the stories I hear is that they are exempt, like you. Speaking from my own experience with permanent residency, you can start the application at the same time you apply for an extension of your temporary residency. I would be very interested to hear if they allow you apply for citizenship immediately at the same time as permanent residency. Please keep us updated and good luck! My very recent experience (just a few weeks ago) as a UK citizen married to a Croat was just exactly as Jonah said. Filled in a short form at our friendly local police station (totally different kettle of fish to Zagreb! ), no tests, bought the obligatory stamp and submitted a new photo, permanent residency card was ready to be picked up in three weeks or so. Done and dusted. A couple of local police officers did come to our house to check me out as part of my application but I already had the card in my hand! I feel a bit bad reading about all the hoops others have had to jump through. The police officer told me that the fast approval was because I was from an EU country, not because of my marriage. And, yes, the citizenship application (for dual citizenship) can go in immediately, although I haven’t yet done it. Again, I have a form to fill in and have to write a short ‘CV’. After that I think it can be a year’s wait til you actually get it but as long as I get it in progress before Brexit I am hoping it will be OK.
Hope it helps to have this recent info – it really did go very easily for me … although I know the rules could change again at any time! Thank you so much for this informative post. I have kept this post open since April and it has definitely proven useful. Thankyouthankyouthankyou! I am based in Zagreb and my experience has been only slightly different from yours. Just last week I took my language exam (which is still very much a requirement, even for spouses of Croats–straight from the lips of the person who processes the residency applications for Zagreb), and as stated by one of your commentators about the oral segment of the test, they were not concerned with my speaking perfect Croatian, but rather being able to express myself and to understand and answer questions. One glaring difference was that my written test was NOT (all) multiple choice. Argh! That’s okay, though. The Filozifski Fakultet of Zagreb’s page has a sample test that was way more difficult than the one I took. FYI: http://croaticum.ffzg.unizg.hr//wp-content/uploads/2014/05/Primjeri-zadataka-za-provjeru-znanja.doc . Another difference was that I was able to bypass the (hassle of) Filozofski Fakultet and take the test at Vodnikova škola stranih jezika, which is the only other school in Zagreb that is qualified to certify your language proficiency. I am willing to give more details about the Zagreb process as I go through the steps if you want, but don’t want to commandeer your comments section blabbing on and on. Again, I just wanted to express my gratitude for the reassurances and information provided by your blog and this post in particular. Thank you so much for sharing your experience! Do not worry about “commandeering the comments section” as all experiences are useful and helpful to the readers on this site. Croatia’s residency processes are not straightforward and differ greatly for everyone, so hearing all the possibilities is a valuable. Feel free to continue to add comments about any future experiences you have. It will be appreciated by me and others! hi all.in the proccess of applying for permenant residance aftrer 5 years. 3 january 2019.we have small form to fill in 30×35 photo .copy of passport id card and insurance.bank statement and proof of house ownership..
payment slip for 79 kuna..
and thats it…nothing about language test…. Are you or your spouse a Croatian national? Thank you for sharing your experience. Are you married with Croatian citizen? What is your nationality? I would like to know more about your process of permanent residency! The swift changes in rules & regulations from authorities in Croatia certainly challenges one’s mental flexibility & adaptabilty. So stay awake folks. I am Australian retiree, living in Split with temporary resident permit for last three years. 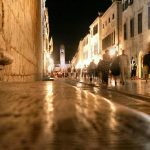 I plan to purchase apartment in Split. For title deeds to be transferred in my name, requires the buyer (non-EU) to be a permanent resident. How risky is it to purchase now & then wait another two years & then hopefully acquire permanent residency in order to have my name on property title & ownership? There is always a risk. Nothing is ever guaranteed in Croatia. In addition, permanent residency isn’t immediate. My permanent residency application took 16 months, so it wouldn’t be only 2 years from now. It could be at least 3 or 4 years from now. Hi Richard I am keen to know how you acquired house ownership before getting permanent residency? I believe anyone can purchase property (eg. vacation homes) – but not everyone will be granted residency. My friend (USA citizenship) has owned her home here for 10+ years but is unable to apply for residency (temporary or permanent). She is fortunate enough to be able to travel every 3 months (for 3 months) – she does need to register as a tourist while she is here (and pays the daily tourist tax for the full time she is here – even as the homeowner). It’s not a great situation – and certainly not one that is possible for everyone – but she loves living here and does what she needs to to make it work. Hi all. Did anyone recently took a Croatian language test at Vodnikova škola stranih jezika? How did it go? Any samples? I have a test there in 12 days. Any suggestions would be much appreciated. I’m so sorry I didn’t see your question earlier because maybe I could have helped a little. Hopefully someone else will benefit from this account in the future. My test comprised a sample test before the actual scheduled test. Because I had studied HR language at another institution, the staff said it would be in my best interest to ensure my language proficiency was actually B1, rather than waste the money on the exam only to discover that I needed more preparation. This assessment test started off as multiple choice in an empty classroom with one administrator. I suspect that it was taken directly from the Učimo hrvatski text book (Školska Knjiga). While I worked on other pages of the test, the administrator/proctor went through what I had already completed and I guess she saw that I had a good enough knowledge of grammar because she told me I could stop the written and then asked me a few questions: basic stuff about how long I’ve been in HR, why I was taking the exam, etc. I think the whole thing lasted 20 mins. The administrator said that she was happy to say that my language ability was sufficient and jokingly welcomed me to Croatian residency (maybe she saw how nervous I was and wanted to be reassuring). For the exam itself, the setup was much more formal with many administrators and loads of other students taking tests for different languages and levels. The written paper comprised some reading comprehension exercises (newspaper article, classifieds) that had specific answers, and another exercise that required what-would-you-do responses. And the last section of the written was to write a short bio (family, occupation, hobbies,…). Next, after handing in the paper, we were instructed to go to another floor to await the listening comprehension. This part was tough for me; listening exams always give me problems and the playback was a little muffled, so I used logic based on what I did hear. They played the recording twice. Again, we were ushered into the hallway for a bit and then two administrators called us in one by one (in the order of who finished the written portion first) and had a little chat. One of my proctors was the person whom I met the day before, and she was again reassuring and that made the conversation easier. I think that portion lasted 5 mins, even though it felt like 5 hours, at the end of which, they said that I had passed and were happy for me and that I could collect my certificate the following week.